When is a new bus the best option for a church? Ami Sailor: While each church has unique transportation needs, more often than not, a new bus is the best option. 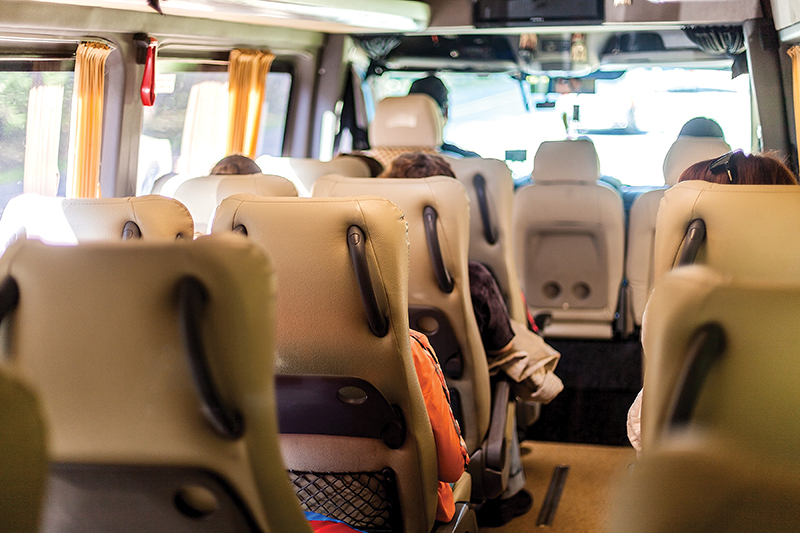 Church leaders often assume that a used bus is the best fit due to budget constraints; however, used buses are often more of a liability than an investment. When purchasing a new bus, you have an idea of the cost of maintenance: oil changes, tire rotations, brake pads, etc. This is not the case with a used bus. Unexpected equipment failures can be costly with no warranty to cover them. Also, new buses can be customized to fit the church’s needs. Adding or modifying these features to a used bus is costly and time-consuming — and, in some cases, not possible. Chris Clark: When a church can afford a new bus, I believe that’s the best route for peace of mind. The bus will be under warranty for the first few years, eliminating unexpected repairs. Also, new church buses — when well-equipped — hold their value very well. Another huge perk is the ability to take advantage of our ChurchLease program, including new church buses starting at $698 per month, with zero down. This ensures a low, fixed monthly payment. Additionally, there are no unexpected maintenance costs, as the customer is under warranty for the length of the lease. And perhaps most important, it enables a church to conserve its cash flow by keeping the $50,000 to $60,000 it would cost to buy a new bus. At the end of the lease, you’ll be getting out of your church bus at the optimal resale time, before significant depreciation sets in. And, church members can enjoy a new bus every five years for less than what it would cost to keep older buses running. That said, there are times when a used bus makes more sense. If, for example, a church has never owned a bus and isn’t in a position to take a $50,000 leap of faith. Or, if a church has raised some money — but not enough to cover the cost of a new bus. Finally, if a church can find a one- to three-year-old bus with less than 60,000 miles, it’s an excellent way to save $10,000 to $20,000 off the cost of a new church bus. Are there certain types of vehicles that are the ‘safest bets’ for churches? Why? Clark: I believe the ‘safest bet’ church bus purchase is a new, or slightly pre-owned, well-equipped, non-CDL, 15-passenger plus rear luggage church bus that is built by a proven, reputable bus manufacturer. Sailor: Accessibility is often overlooked when churches are in the market for new vehicles. Fully-accessible, low-floor buses with single entries featuring ramps — rather than wheelchair lifts — create a simple, efficient boarding process that does not single out passengers with disabilities or mobility impairments. All riders are able to board with little or no assistance, including those using walkers or other mobility aids, giving them a sense of independence. Spacious entries and aisles make wheelchair maneuverability effortless. ARBOC’s fully-accessible product line meets all these needs. 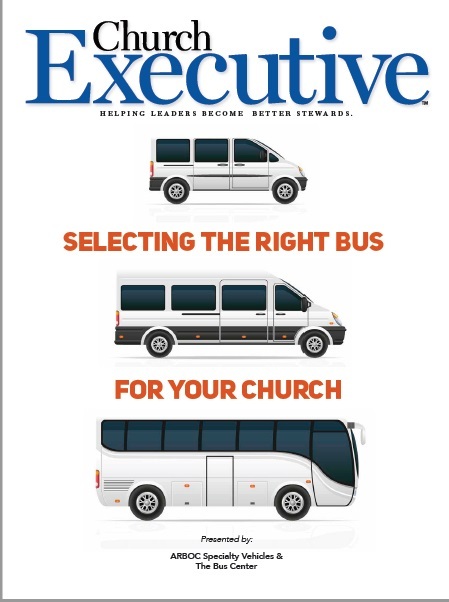 With an increasing number of buses sold to churches in North America each year, accessibility and safety must be mainstream priorities as church transportation progresses. Likewise, are there certain types of vehicles that are more risky for churches? 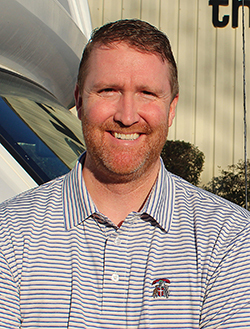 Sailor: Churches often have difficulty choosing between the purchase of a van or a bus. Due to rollover risks during reflex traffic maneuvers or tire blow outs, the National Transportation Safety Board has deemed the 15-passenger van dangerous. In response to this, the insurance industry canceled or raised their rates on van policies. Buses, on the other hand, have a lower center of gravity and a much less likelihood of a rollover. As mentioned previously, standard- or high-floor buses with wheelchair lifts are inefficient and can even be dangerous. Using a wheelchair lift, passengers with disabilities are singled out and forced into the spotlight. The driver must exit the bus to lower the lift, the passenger wheels onto the lift, and is then lifted into the air on a small platform. It can take up to five minutes to board one passenger, while other riders wait and watch. This is not ideal, particularly in extreme weather conditions. Passengers not using wheelchairs must climb steps to enter the bus, which is often difficult for children, seniors and others. A ramp resolves these issues. All passengers enter using the ramp, which takes only 10 seconds to deploy and 10 seconds to stow. Every person, regardless of their abilities or disabilities, can and should experience transportation services in the same manner as the next with the absence of fear, improving the rider experience for everyone. Pre-owned buses from the northern United States or other snowy climates. To combat snow and ice, salt and other melting compounds are used on the roads. This corrodes and rusts the bottom of these buses (also the insides), causing additional, expensive maintenance issues. Brand-new buses that are extremely basic, with few options. You might save $2,000 off the purchase price in the beginning; but if it the bus is uncomfortable or has no place for luggage, you’ve easily lost $5,000 to $10,000 off the resale price five to eight years down the road. Buses by manufacturers that are no longer in business. If a one- or two- year old bus is listed at $10,000 less than others, there’s probably a reason. Maybe there’s no warranty left. Maybe it’s very hard (or impossible) to service. Even more important, maybe parts aren’t manufactured for that bus anymore. Make sure and do you research before this large investment. Let’s talk about who can drive the bus. What must a church absolutely know? Clark: In almost every state — except California, Pennsylvania and Nevada — vehicles that seat 15 or fewer passengers, including the driver, are considered non-Commercial Driver’s License (non-CDL) and can be driven with a regular, valid driver’s license. Vehicles that seat 16 or more passengers (again, including the driver) will require a Class C CDL, along with a passenger endorsement; a Class C is valid to operate any vehicle up to 25,999 pounds. For buses weighing 26,000 pounds and up, a Class B CDL is required. If the vehicle has air brakes (which some large buses do), an air brakes endorsement is also required. Regardless if the driver has the correct license, I’m always in favor of a church having guidelines in place that drivers must meet, especially when transporting church youth. Side note: We hear churches say all the time: ‘Well, if we just take X number of seats out of the bus to get it under 15 passengers, then it’ll be a non-CDL.’ This is not true. The law applies to how a bus is originally manufactured. That’s hugely important; if your church is involved in an accident and this issue comes up, you or the church face a ton of liability. There could also be insurance denials. It’s not worth the risk. Sailor: Whether used as shuttles, for ministry trips, mission work or other applications, church transportation can be very rewarding. However, if not properly supervised and controlled, it can also present some serious problems. Selecting drivers is the most important factor. Up to 90 percent of all bus and van accidents result, in part, from driver error. First and foremost, check your state and local requirements. Most potential drivers will take a 50-question general knowledge test and a 20-question special knowledge test on transporting passengers. A clean driving record, good physical condition, and dedication to safe driving are all imperative. In most states, church bus drivers — whether paid or volunteer — must have a CDL if they operate a vehicle with a gross vehicle weight (GVW) greater than 26,000 pounds or a vehicle designed to transport 16 or more passengers, including the driver. ARBOC’s fully low-floor product line contains seven models with a GVW of less than 26,000 pounds. All are great options for your church fleet. Regarding bus maintenance, what are the most common risks a church faces? Sailor: Even when inadequately staffed, many churches prefer to do bus maintenance in-house. This can be a risk, because proper documentation of routine maintenance is often not performed or reviewed to ensure the work has been done. 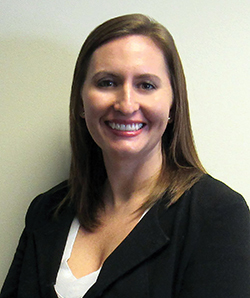 If tasks are neglected or performed incorrectly, and parts fail, liability might be traced back to the person responsible for performing this task. Clark: Maintaining a bus that has an excessive amount of rust / corrosion underneath is a big risk. When working on these buses, our mechanics tell us that repairing one issue is impossible without replacing a lot more than would be needed for a rust- and corrosion-free bus. What other advice would you give churches regarding ongoing maintenance of church buses? Clark: The main thing is to have the bus on a schedule, whether you do the maintenance in-house or take it to a local shop. Due to the low mileage most churches put on their buses, this usually means taking the vehicle in for routine service twice a year for oil / filter changes, tire rotations, and so on. Additionally, I always recommend getting the body resealed and the air-conditioning serviced at least once every two years. This could save your church a lot of money on smaller issues, before they turn into big problems. Sailor: In a perfect world, each church would have a transportation / maintenance committee responsible for monitoring warranties and scheduled maintenance due dates, perhaps in a spreadsheet or similar software. Unfortunately, however, many churches are unable to sustain such a committee. Instead, these churches should assign the tasks to someone responsible and trustworthy enough to ensure the data is entered correctly and in a timely manner. If the church has proper staffing to maintain the bus, performing routine maintenance on the bus is acceptable. For any repairs above and beyond this, I recommend using a technician from the dealership where the bus was purchased. Today’s buses are very complex — especially the electrical system — and it’s easy to make problems worse if the individual responsible for fixing them lacks proper training. ARBOC dealers are familiar with all the equipment on the bus and have the proper tools and training to address any issues that might arise. As a result, they are the safest bet for reliable bus service and maintenance.